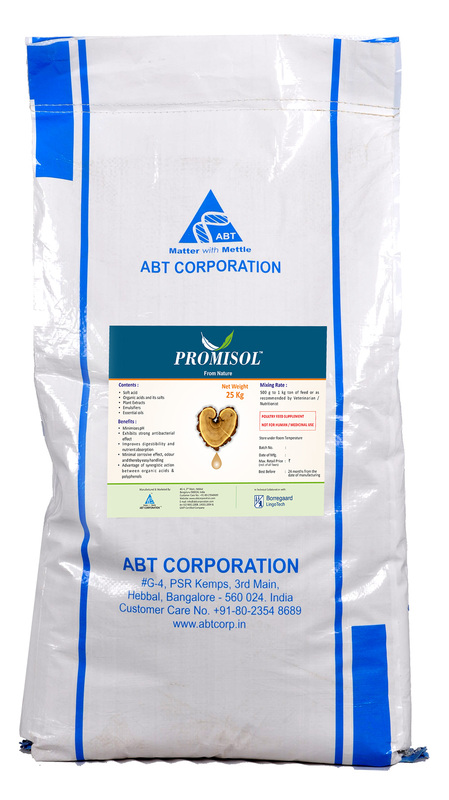 Promisol is a unique blend of selected organic acids and its salts fortified with herbal extracts and emulsifiers that ensures improved performance of birds by facilitating proper digestion and better nutrient absorption. It has clear inhibiting properties on bacterial colonisation. Promisol reduces the aggressive nature of organic acids thus safe to use in feed mills. Minimal loss due to evaporation and corresponding reduction in odour. Improved overall performance of animals.